Bombardier Inc., one of Canada's global champions of industry – and a major recipient of taxpayer assistance – won hundreds of millions of dollars worth of international contracts after making controversial side payments known as "success fees" to agents in foreign countries, a year-long, round-the-world investigation by The Globe and Mail has found. The investigation was sparked by the allegations of a former employee of Bombardier's rail unit, who told The Globe that he personally took part in the preparation of bids for foreign contracts that involved success-fee payments in South Africa, South Korea and Malaysia while working as part of the company's bid-preparation team in the early 2000s. "What is a 'success fee'? It's a bribe. It's money that gets paid to an agent – but do you get paid $8-million [U.S.] to $15-million just because Bombardier wins a contract? No, that money gets passed around," the former employee said, speaking on condition of anonymity. "It's absolutely a pyramid. The agent's job is to spread that money around and make sure everything goes the way it's supposed to go." The Globe examined each of the deals the whistle-blower said he was involved in and found that official investigators in South Africa and South Korea shared his belief that the Montreal-headquartered giant had won deals in those countries after making arrangements intended to influence how contracts were awarded. 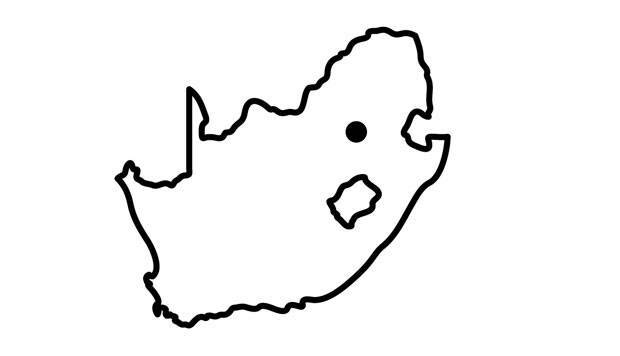 However, a backlog of corruption cases in South Africa and an expired statute of limitations in South Korea ensured that no charges were filed against the company in those countries. In Malaysia, where accusations of corruption involving senior government officials are frequent, but rarely investigated, Opposition politicians and non-government organizations said Bombardier appears to have benefited from partnering with a local company with close ties to the ruling party. In response to e-mailed questions from The Globe, Bombardier acknowledged paying success fees – not bribes – to middlemen, saying that it is "common practice in many industries for companies trying to develop business in new markets and locales to enlist expert representatives from those areas to promote products and services, assist in evaluating customer requirements and provide insights into potential competition." "Bombardier has always been transparent about the fact that it has to conduct business through such representatives in countries where the legal framework requires a non-resident corporation to do so, and that we pay those representatives appropriately in exchange for the work they do," Olivier Marcil, Bombardier's vice-president of external relations, wrote in an e-mail to The Globe. "This practice is perfectly legal, provided for in the commercial codes of many countries, and used by many Canadian and international companies in a variety of industries." Mr. Marcil added that the company would hold accountable any employee found to have violated the law or the company's own code of ethics. The whistle-blower's allegations come as Sweden's National Anti-Corruption Unit continues its investigation into how Bombardier won a 2013 deal in Azerbaijan, as well as more recent contracts in Russia and other parts of the former Soviet Union. As is the case with the bids in which he took part, the investigation in Sweden pertains to Bombardier's Berlin-based rail unit, Bombardier Transportation. The whistle-blower said, that during the five years he worked for Bombardier, success fees, which usually worked out to be about 5 per cent or 6 per cent of the overall price of the contract being sought, were a separate line item on every bid for a foreign contract that he was involved in. He said he worked with the understanding – although it was never explicitly stated by his superiors – that the money would be used to win over foreign officials and ensure Bombardier came out ahead of competitors, such as Germany's Siemens AG and France's Alstom SA. "Whenever they're building up a bid, on almost everything overseas, it has an agent fee, usually 5 per cent of the overall price," said the whistle-blower, who quit the company in 2005. Success fees, he said, were "right there in the template. All we had to do was fill in the percentage. Someone in the sales department would come and say this is what the percentage was." He said knowledge and approval of the practice went all the way to the top of Bombardier's corporate structure. They were termed "success fees" because the sums were only paid out if Bombardier won the bid. The whistle-blower said he worked on bids for contracts in other countries – including Greece, Turkey and the United Arab Emirates – where the theoretical success fee was included on internal paperwork, but never paid out, because Bombardier did not win those bids. All of the bids in which the whistle-blower took part were concluded by 2006, two years before the transportation industry was rocked by a massive bribery scandal at Bombardier's rival, Siemens, that ended with the company paying a $1.6-billion fine to U.S. and German authorities, the largest such penalty in modern corporate history. Another major player in the industry, Alstom , paid a $772-million fine to the U.S. Department of Justice in 2015 after it, too, was found to have paid tens of millions of dollars in bribes to foreign officials. Both companies admitted they had paid bribes via middlemen who then passed most of the money on to the officials that the company intended to influence. Siemens called the middlemen "consultants." Alstom called its interlocutors "agents." Like its rivals, Bombardier often operates in murky legal environments as it pursues infrastructure projects in the developing world, including some countries where the rule of law is flouted by local elites. After Siemens's rule-breaking became public, one employee said he believed the German company had to make payments via consultants because other players in the industry were doing the same thing. The whistle-blower's claims are supported by some of the evidence presented by prosecutors in Sweden, which includes the testimony of another ex-Bombardier employee, Fredrik Hellander. Mr. Hellander said he resigned from Bombardier Transportation Sweden last year after trying to raise the alarm over the inclusion of Multiserv Overseas, a mysterious Russian-controlled shell company that stood to make massive profit – while delivering little value – in two projects he was working on. "There is a risk that a third party is extracting $89.3-million from the project by being an intermediary in internal trading between Bombardier Sweden AB and Bombardier Signal Ltd.," Mr. Hellander wrote in an e-mail to his superiors. Bombardier Transportation (Signal) Ltd. is a joint venture between Bombardier and the state-owned Russian Railways. Multiserv Overseas was a hidden partner in the Azerbaijan deal, as well as on a contract that Bombardier Transportation (Signal) won the same year to modernize the railway system in Mongolia. Mr. Hellander eventually resigned, and is now co-operating with the Swedish investigation. He told Swedish police that he "felt [Bombardier had] not always the best business ethics, perhaps." Taken together, the allegations suggest a pattern of corporate behaviour at odds with Bombardier's image as one of the standard-bearers for Canada abroad, an innovative company that employs tens of thousands of people at home and around the world. The claims also raise questions about the use of taxpayer money Bombardier has received over the decades from various levels of government in Canada. Since applying for its first subsidy in 1966, the company has received billions of dollars in loans, subsidies and direct and indirect investments. Some analysts say the company would have gone bankrupt without the assistance, most of which came from the federal government and Quebec provincial government. Taxpayer money also helped Bombardier grow from a quintessentially Canadian company making snowmobiles in the 1940s to a massive multinational that regularly wins infrastructure contracts in some of the most complex jurisdictions in the world. As part of the investigation, Globe correspondents fanned out across Europe, Africa and Asia over the course of 2017, examining each of the cases in which the whistle-blower said that a success fee had been paid out. In courtrooms, university corridors and even Mediterranean yacht clubs, The Globe's reporters met prosecutors, government officials and former Bombardier employees – as well as some of those directly involved in the controversial schemes. Collectively, the findings paint a portrait of an industry in which deals are done through channels often defined as legal in the countries where the contracts are sought, but that might be seen to violate the laws of the Western countries, including Canada, where Bombardier and other companies keep their headquarters. Businessman Youssef Zarrouk, shown at his yacht club in the Tunisian port town of Sidi Bou Said, says that he received a $3.5-million ‘success fee’ payment from Bombardier in 2005. Life as a middleman has clearly been good to Youssef Zarrouk. He is one of the invisible players who make big international deals happen. Before he agrees to a formal interview at the office of his Tunis-based All-Trade Company, he first invites a Globe reporter to join him for pizza and white wine at his yacht club in the nearby Mediterranean port of Sidi Bou Said. Yachting is Mr. Zarrouk's passion. In his heyday, it was aboard his private yachts that he would connect the representatives of international companies to his friends in governments across the Middle East and Africa. Some of his luxury craft were docked at Sidi Bou Said, others in the south of France in Cannes. These days, however, the sexagenarian Mr. Zarrouk, whose skin is speckled with brown spots, says he needs to keep out of the sun. So, we meet on the shaded terrace of his yacht club, which seems fitting for a man who has lingered for decades in the shadows of international business. Before the interview begins, Mr. Zarrouk tells vivid tales of the business deals he witnessed and was party to. During a formal interview the next day at his Tunis office, he tells more conservative versions of the same stories. Mr. Zarrouk says that he received a $3.5-million "success fee" payment in 2005 from Bombardier in exchange for helping a Bombardier-led consortium win what was initially a $1-billion contract from the South African government the following year. "They gave me $1.5-million in April, 2005; $500,000 five days after the signature in June; $250,000 in October; and $250,000 in November; and then $1-million in December," he said. Mr. Zarrouk then spun the contract around on his wooden desk so that a Globe reporter could read it for himself. "That's a payment for services. It is a success fee." Mr. Bouvette would go on to become the chief executive officer of Bombela, the Bombardier-led consortium that would carry out the construction of a high-speed rail network, known as the Gautrain. Today, the Gautrain runs 80 kilometres through the province of Gauteng, serving several population centres, from downtown Johannesburg to the diplomatic suburbs of Pretoria. Mr. Zarrouk says that Bombardier and its partners would have lost the Gautrain project to Spanish competitor ACS-Dragados without his intervention. "I called [Bombardier] and said, 'You are in the short list, but you have the Spanish in front of you and I can help,' " Mr. Zarrouk said, explaining how he first made contact with Bombardier. "I never go to the Number One," he said. "I go to the Number Two and make a contract." Mr. Zarrouk switches between English, French and Arabic as he cheerfully describes his career as an intermédiaire. In the case of the Gautrain project, Mr. Zarrouk told Bombardier that he could connect them to his friends in the African National Congress, which has governed South Africa since the end of apartheid. Asked why he can charge millions just to arrange a meeting, Mr. Zarrouk smiles widely before he replies: "Because I'm expensive." The contract shown to The Globe stated the $3.5-million was payable "upon resolution of contractual issues between Gauteng Province and Bombela Consortium." There are other sums floating around regarding how much Mr. Zarrouk was paid. A 2003 contract obtained by The Globe from a source in South Africa states that Bombardier would pay 6 per cent of the final Gautrain contract to Mr. Zarrouk and his All-Trade Company. That would have meant a payment worth almost $60-million. The whistle-blower said he believed the larger figure was the total amount of money budgeted for Mr. Zarrouk's company to "spread around" in order to ensure Bombardier won the Gautrain contract. South Africa's Mail & Guardian newspaper has reported that a "success fee" of $35-million was paid out on the deal. Mr. Zarrouk himself initially told The Globe that he had been paid $10.5-million by Bombardier – in tranches of $2.5-million and $8-million – before producing the contract with the $3.5-million figure on it. 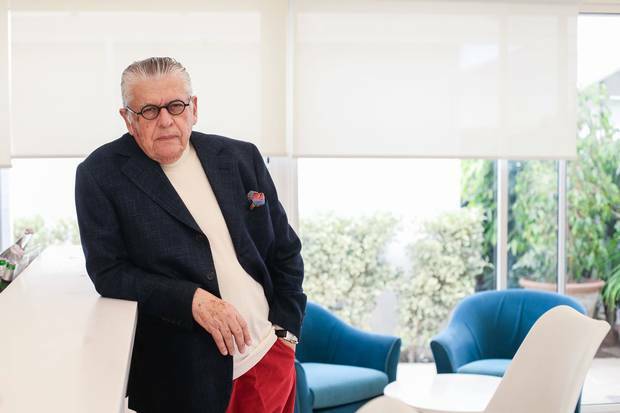 Asked in a subsequent interview about the contradictory figures regarding how much he was paid, Mr. Zarrouk insisted that he received only the $3.5-million and said he didn't know to whom, or even if, the rest of the ostensible 6 per cent was paid out. Mr. Marcil, the Bombardier vice-president of external relations, acknowledged that Mr. Zarrouk was hired by the company as a "sales representative" on the Gautrain project, and said that Mr. Zarrouk was paid "within the norms of the industry practice at the time." The contract signed by Mr. Zarrouk and Mr. Bouvette was just one document he pulled from two boxes marked "Bombardier" that The Globe saw in Mr. Zarrouk's office. Another box was marked "SNC-Lavalin," the name of the Montreal-based engineering firm that in 2013 was barred for 10 years from competing for World Bank-funded projects following a scandal over mysterious side payments the company made to agents in Libya and Bangladesh. Mr. Zarrouk said the officers were particularly interested in the 2011 sale of a Bombardier-made Canadair CRJ-900 jet to an arm of the national flag carrier, Tunisair. 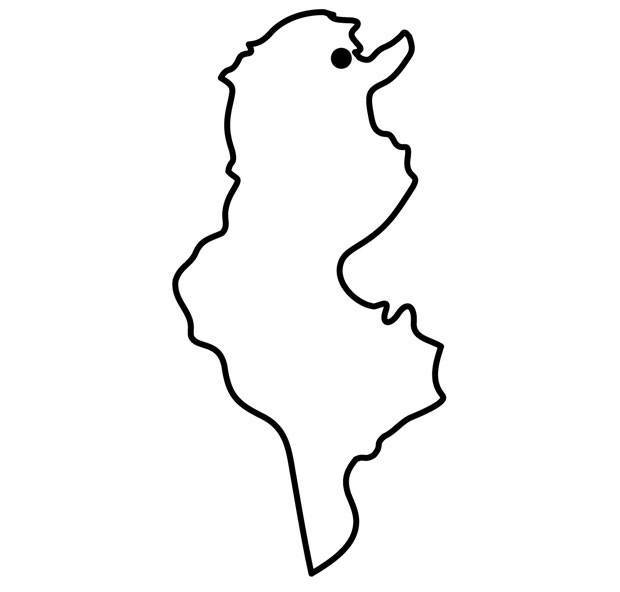 Mr. Zarrouk said he helped facilitate that $21-million deal, which he said involved a $1-million side payment to a "friend" of his, who later paid $700,000 of the fee on to a sister of the country's then-president, Zine el-Abidine Ben Ali. Mr. Zarrouk said the RCMP asked him questions about the Bombardier employee who signed off on the $1-million side payment. Mr. Marcil said Bombardier was "aware that the RCMP is looking into Mr. Zarrouk's role in relation to a sale of a CRJ-900 to Tunisair, but our understanding is that Bombardier is not a target of the investigation." He said the company had severed all ties with Mr. Zarrouk in 2011. 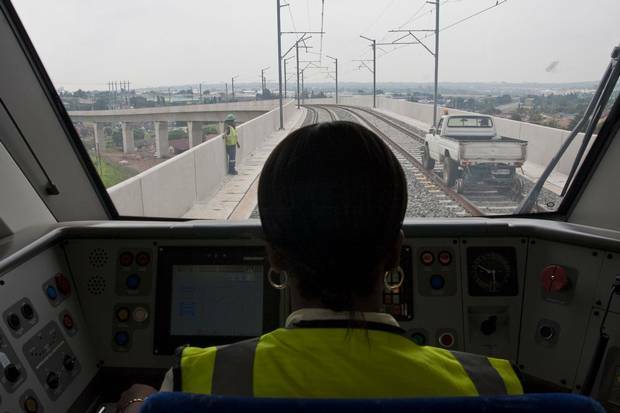 January, 2010: A South African train operator tests the new Gautrain rail link from Johannesburg airport to the city. Bombela, the Bombardier-led consortium behind Gautrain, opened the first leg months later, just in time for the World Cup. The project came under scrutiny over the role of ‘success fees’ in the bidding process. There was celebration – and more than a few sighs of relief – when Bombela, the Bombardier-led consortium, finally completed the crucial first leg of the Gautrain line, linking Johannesburg to the country's main airport, in June, 2010. It went into service just days before fans were to arrive in South Africa for the opening games of that year's FIFA World Cup. The Gautrain was hailed as a development milestone, Africa's first high-speed rail line. 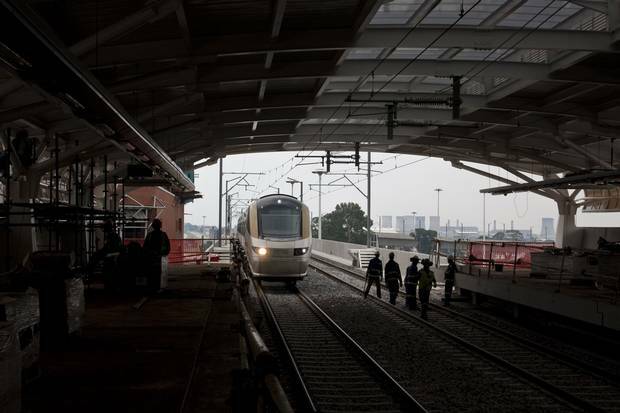 But the controversies that were already swirling around the Gautrain project – which was months behind schedule, with costs that would swell to more than triple its original $1-billion budget – would continue to grow. The project was thrust back into the limelight in 2012 when an argument over "success fees" became headline news in the country. The uncharacteristically public dispute pitted Mr. Zarrouk against one of the people he says he put Bombardier in contact with: an anti-apartheid activist turned government lobbyist named Peter-Paul Ngwenya. Mr. Ngwenya had served seven years in the notorious Robben Island prison colony at the same time as key ANC figures, including Jeff Radebe, who was South Africa's minister of Transport at the time the Gautrain contract was awarded. Mr. Ngwenya was also an adviser to Mbhazima Shilowa, the premier of Gauteng province at the time the Gautrain project was awarded to the Bombela consortium. A copy of the capture plan for the Gautrain project was obtained by The Globe. Labelled "strictly confidential" on each of its 32 pages, it included personal information about officials and politicians involved in choosing the winning bidder. Mr. Shilowa, the document notes, had an "interest in wine, cigars, jazz, cars." The document proposes approaching Mr. Shilowa via Bombardier's "representative" and unspecified "special events." There are different versions of who won the Gautrain deal for Bombardier. In 2011, Mr. Ngwenya filed a claim in South Gauteng High Court against Bombardier, saying that he was owed a $7-million "success fee" on the Gautrain deal, money Mr. Ngwenya says should have been paid to him by Bombardier's representative, Mr. Zarrouk. Paying Mr. Ngwenya would have been tantamount to paying a bribe, Mr. Zarrouk says. And that's something he claims he would never do. Mr. Ngwenya, he says, eventually reached an agreement with Bombardier to resolve the dispute over money. "I told [Mr. Ngwenya], 'I don't pay, they pay,' and he went to Bombardier. I think he had an arrangement with Bombardier. But that's not my business," Mr. Zarrouk said. "Bombardier is a very good company, and they really provide good trains. I don't think that Canada or Germany gives them [enough] subsidies to sell abroad. So I think they need to pay decision-makers, and they pay." Mr. Marcil said that Bombardier "never engaged Mr. Ngwenya or any of his companies for any form of services." Another official named in Bombardier's capture plan was Jack van der Merwe, the head of the evaluation team for the contract and today the CEO of the Gautrain Management Agency, which runs the high-speed rail line. After reading a Mail & Guardian article about the existence of the capture plan, Mr. van der Merwe contacted Bombardier in 2012 with a list of questions about the company's conduct. He asked to see the full capture plan, as well as the agreements between Bombardier and its middlemen. Mr. van der Merwe says that he never received the documents, although he ultimately accepted Bombardier's defence of the payments. "They said, 'No, there's nothing untoward that happened there,' " he said in an interview at his office in Johannesburg. "I have to accept Bombardier's explanation, which I tend to believe." Mr. van der Merwe marvels that the involvement of Mr. Zarrouk and Mr. Ngwenya became public only because their dispute over money ended up in court. "As long as the two parties who are doing something wrong don't get cross with each other, how will you know? You'll never know." The amount of money paid to the middlemen was a small fraction of the deal's value, he said. "I didn't get any information or anything to warrant me to go to the Canadian embassy and say, 'Make a case against Bombardier.' I can't sit around and chase. I'm not going to chase a million Canadian dollars and make myself James Bond." Thuli Madonsela left her office as South Africa’s public protector last year, with an investigation involving Bombardier’s Gautrain deal left unresolved. Thuli Madonsela was the one tasked with chasing down where the money went. 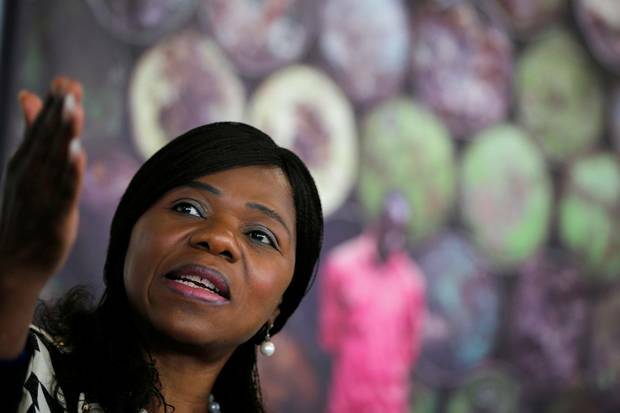 For seven years, she was South Africa's public protector, charged with one of the most difficult jobs on the planet: battling the corruption that became endemic over 25 years of almost-unchallenged ANC rule. In 2015, her office – a team of official investigators specially tasked with examining allegations of government corruption and misconduct – opened an investigation into the Gautrain deal. Ms. Madonsela says her interest was first drawn by the fact that the government seemed uninterested in forcing Bombela to pay for the cost and time overruns. She suspected the reason for that was that "state actors" had taken quiet stakes in the Gautrain project, via Bombardier's South African partners. "First the costs are inflated, the taxpayer pays more … but the worst part for me – which is alleged in the Gautrain case, but not proven yet – is when we have [cost] overruns, the state actors don't take measures which are provided for in the contract, because they don't want to punish themselves." Ms. Madonsela said she had planned to focus her investigation on the partners Bombardier took on in order to comply with the country's Black Economic Empowerment (BEE) laws. Johannesburg's Sunday Times newspaper reported in 2006 that two cabinet ministers held shares in the Gautrain project via a BEE company called Strategic Partners Group that owns 25 per cent of Bombela. But opening a file was about as far as Ms. Madonsela and her team got. Ms. Madonsela says that she left office in 2016 with more than 70 major corruption cases, including the Gautrain investigation, all open and unresolved. She says she was hampered in her investigation by an ANC-controlled Parliament that repeatedly rejected her requests for additional funding to help her investigators handle all the work. At the end of her seven-year term, Ms. Madonsela was replaced with a Public Protector seen as more loyal to President Jacob Zuma. Ms. Madonsela says she felt that her office was being intentionally obstructed in pursuing politically sensitive cases such as Gautrain by forces in government that had an interest in making sure the deals were never properly investigated. She worries that politically sensitive investigations will receive scant attention under her successor, Busisiwe Mkhwebane, who has been widely accused of pro-Zuma bias in her decisions and public comments. "What we needed to do was finish the Gautrain investigation, because then we would have seen the pattern and alerted everyone to the pattern and put measures in the system to prevent a recurrence," said Ms. Madonsela, relaxing on a couch as she took a break between lectures at Harvard University's Advanced Leadership Initiative, where she spent a year studying after the completion of her term as public protector. "I think we've reached a point where we need a commission-style investigation into the South African procurement system," she said. "No more companies formed a few days before [the contract is awarded], no middle persons." Despite widespread media coverage – including a CBC report after Ms. Madonsela opened her investigation – Mr. Marcil said that Bombardier was not aware of any investigation by South Africa's Office of the Public Protector. 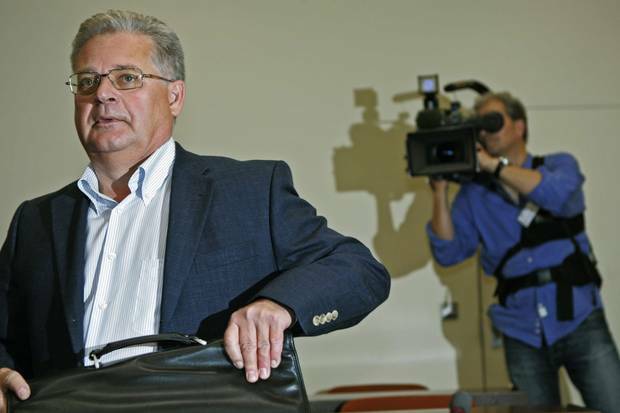 Munich, 2008: Former Siemens top manager Reinhard Siekaczek prepares for trial. Mr. Siekaczek would serve two years in jail for his role in a bribery scheme, which he said was a necessary strategy to win contracts against competitors who were doing the same thing. Mr. Zarrouk and the whistle-blower agree with Mr. Marcil's assertion that there was nothing uncommon in Bombardier's use of "success fees" and "capture plans" in winning the Gautrain deal: It's simply how large infrastructure contracts were – and in some places continue to be – awarded in much of the developing world. In its pre-2008 bidding books, Siemens had an accounting line labelled "NA" – a German abbreviation for nützliche Aufwendungen, or "useful money." Reinhard Siekaczek, a Siemens accountant who would be given a suspended two-year prison sentence for his role in the scheme, said that the company routinely set aside $40-million to $50-million a year for the bribery of foreign officials. After the scheme was exposed by German and American investigators, Siemens explained that the side payments were the only way it could win contracts in an industry in which everybody was doing the same thing. "We thought we had to do it," Mr. Siekaczek told The New York Times in 2008. "Otherwise, we'd ruin the company." According to the U.S. Securities and Exchange Commission, Siemens paid bribes to foreign officials in developing markets around the globe, helping it to win contracts to build a metro line in Venezuela; power plants in Israel and Iraq; a mobile-phone network in Bangladesh; and medical devices in Vietnam, Russia and China. "Siemens used numerous slush funds, off-books accounts maintained at unconsolidated entities, and a system of business consultants and intermediaries to facilitate the corrupt payments," the SEC decision reads. As late as 1999, paying off a foreign official was not considered a crime under German law. Some forms of bribery were even tax-deductible. Seven years after Siemens paid $1.6-billion to make its legal troubles go away, France's Alstom was caught doing the same thing. In 2015, Alstom paid a $772-million fine to resolve charges that it had paid bribes to foreign officials to win contracts to build power grids and transportation projects in Indonesia, Saudi Arabia, Egypt, the Bahamas and Taiwan. "Alstom and its subsidiaries also attempted to conceal the bribery scheme by retaining consultants purportedly to provide consulting services on behalf of the companies, but who actually served as conduits for corrupt payments to the government officials," the U.S. Department of Justice said in announcing Alstom's guilty plea. Bribery was also legal until 1999 at the Berlin-based ADtranz, the company previously known as Daimler-Benz and DaimlerChrysler, that was Siemens's main domestic rival in the rail sector. ADtranz was acquired in 2001 by Bombardier and rebranded as Bombardier Transportation. "It's just the way the whole industry works. The first thing they do when they're working on a sales campaign is to go and find an agent. I don't think there was ever a case where they said, 'We can win this without an agent.' There was always an agent," the whistle-blower said. Canada enacted its own Corruption of Foreign Public Officials Act in 1999. As in Germany, there was initially little change: Only one person was prosecuted in the first 12 years after the CFPOA came into force, leading both the Organization for Economic Co-operation and Development and Transparency International in 2012 to rank Canada as the worst Group of Seven country at fighting bribery. Following that rebuke – and the scandal the same year at SNC-Lavalin – Parliament stiffened and broadened the CFPOA in 2013 and the law was tightened again in October to specifically make facilitation or "grease" payments illegal as well. Those moves brought it closer in line with the United States' tough Foreign Corrupt Practices Act, raising the maximum jail term from five years to 14. There's also no ceiling on the fines that courts can impose on companies found in violation of the act. The 2013 version of the CFPOA broadly defines an illegal bribe as giving "benefit of any kind" – including via a third party – with the intent of influencing a foreign official. It also grants the RCMP jurisdiction over the behaviour of Canadian citizens, residents and companies abroad, regardless of the laws in the country in which the bribery allegedly took place. The Bombardier-built EverLine, which runs along an 18-kilometre track in Yongin, South Korea, was sold to local leaders as a vision of the future, but is now derided by locals as a bus on rails. Every few minutes, a single car passes by Chodang station, one of the stops on 18 kilometres of elevated track that wind through Yongin, a small city 40 kilometres south of Seoul. When the EverLine was sold to local leaders, it was a vision of the future – driverless cars that would swiftly transport tens of thousands of passengers a day. Today, locals mockingly call it a bus on rails, slower on some routes than taking an actual bus, and, for the city that built it, far more expensive. The local prosecution office is more blunt: EverLine, a lead prosecutor says, was built after Bombardier engaged in corrupt practices to win the 2004 contract for its construction. The project's one-trillion-Korean-won price tag, equivalent to $940-million in today's dollars, was based on initial expectations that some 160,000 people would ride the EverLine every day. But even three years after operations began in 2013 – a start date delayed by legal wrangling between Yongin and the Bombardier-led consortium that built the line – actual ridership was less than a fifth of that figure. The resulting financial shortfalls have saddled Yongin with so much debt that the municipal government was forced into austerity measures around the time the line entered service. The problems have brought intense scrutiny to how a consortium led by Bombardier won the right to build the project. A special investigation by Yongin prosecutors concluded that the company operated a slush fund and bribed researchers and decision-makers with gifts and trips. For half a year, a team of six South Korean prosecutors, 14 investigators and two certified public accountants worked together. They examined the records of 52 fixed phones, analyzed 115 cellphones and computers, scoured 725 bank accounts and accumulated 285 boxes of documents. "We were aiming to hold people responsible for this wrongful private-sector investment project," prosecutor Cha Maeng-ki told The Globe. The evidence his office gathered showed that Bombardier supplied its South Korean representative, Henry Kim, with lobbying fees totalling $1.8-million over a five-year period. Bombardier sent gifts to the homes of local politicians, as well as to researchers tasked with creating the ridership forecasts that would underpin construction of the new light-rail line, the prosecutors found. Mr. Kim received a further $4.7-million in advanced payment incentives that were deposited into a Swiss bank, under the name of Mr. Kim's wife, Mr. Cha said. Some of that money, Mr. Cha said, was used to buy real estate in South Korea. The company also flew 37 people, including 18 city councillors, to Canada, where it "paid their full expenses, put them up in luxury hotels, and provided them with golfing trips, a trip to Niagara Falls and other luxuries," he said. "These trips took place at the time during which Yongin city and Bombardier were going through negotiations for their business conditions." 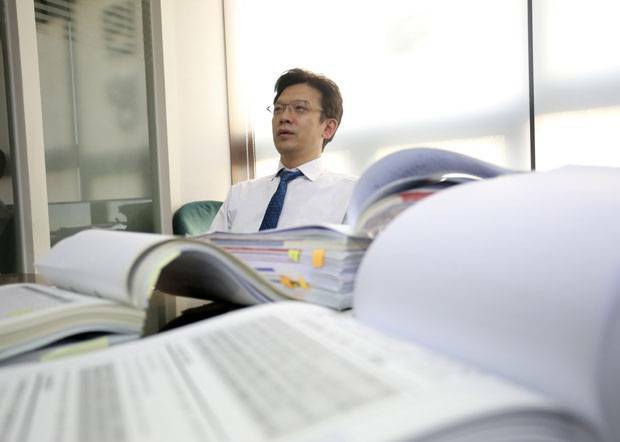 Mr. Cha said, "Providing gifts or funding trips to civil servants in the line of duty constitutes bribery." The results of Mr. Cha's investigation were made public in 2012 and, in the years that followed, local courts found Lee Jeong-moon, the former mayor of Yongin, guilty of corruption on charges related to the EverLine construction. He was sentenced to prison for bribery related to the selection of subcontractors, including his younger brother and friends, for the rail-construction project. Mr. Kim was found guilty of embezzling funds from the Bombardier-led consortium, where he had served as CEO. But the Bombardier representative did not face trial on charges of corrupting officials nor was the company itself charged with wrongdoing. By the time prosecutors began digging into the company's South Korean project, it was too late for charges. "The statute of limitations at the time was five years," Mr. Cha explained. Canada's toughened anti-corruption law contains no such statute of limitations. Bombardier's Mr. Marcil, however, contested Mr. Cha's interpretation of events. "We reject the insinuation that we, in any way, acted wrongfully in the Yongin project, or that we unduly influenced either the choice of technology or the decision to build the transit system," Mr. Marcil said. "After our full cooperation in their investigation, South Korean investigators determined that there was no cause for charges against Bombardier." Mr. Lee, the former mayor sentenced to jail on corruption charges, also defends the EverLine – and the company that built it. He is "completely in favour of them," he said in an interview. "Bombardier didn't hurt Yongin City the tiniest bit. Not one bit." Bombardier had been given preferential status in bidding for the Yongin project, and was the sole company to submit a bid, according to a local lawmaker. But the company has since gained many detractors in a city where the EverLine has grown into a symbol of extravagance and waste. The lower-than-forecast number of riders has meant less revenue than initially expected and has sparked a dizzying number of efforts to assign blame. Prosecutors charged 10 people, accusing them of bribery and violating construction safety laws. A citizens group has sued Yongin for damage compensation. The city and the Bombardier-backed consortium faced off twice before the International Court of Arbitration, or ICA, after Yongin accused the consortium of safety flaws and noise issues. The consortium then sued over delays in opening the line, and won. 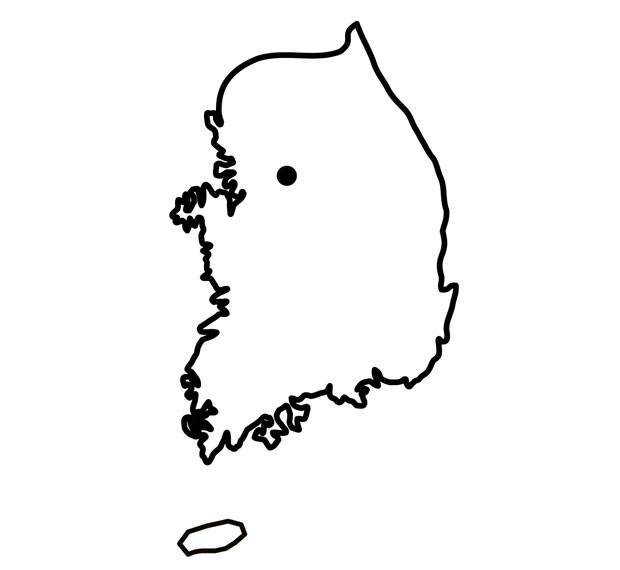 In two judgments, the ICA awarded the consortium a total of 778.6 billion Korean won, an amount roughly 22-per-cent greater than the consortium's share of construction costs. Because the city could not afford to pay the entire sum at once, it agreed to continue payments until 2043. After a contractual change, Bombardier no longer operates the rail project that it helped bring to Yongin, where the project continues to raise local passions. Lee Sang-cheol, one of the 18 councillors who travelled to Canada with Bombardier, acknowledged that the company gave him gifts, although he down-played them as "nothing out of the ordinary." He also defended the trip he took to Canada on Bombardier's dime. "If they want to sell us machines, they have to show us those things," he said. And he added that "stopping by some tourist attractions shouldn't be such a big deal. How can we just see light rail and nothing else?" Still, he has come to regret the company's involvement. "Bombardier made zero losses in this transaction. Bombardier lost absolutely nothing. It took everything it wanted to take," he said. And he resents the financial duress that the EverLine project inflicted on his city. "Honestly, what Bombardier did, it caused massive harm to Yongin city." Since the late 1990s, the Bombardier brand has been ubiquitous in Kuala Lumpur, the Malaysian capital. But there has been no local investigation of how the company won its lucrative Malaysian contracts. he whistle-blower who spoke to The Globe says that he never heard the name Youssef Zarrouk while he was working for Bombardier. He says he never knew who received the success fees that he was told had to be fit within the overall cost of the bid. He certainly doesn't know who Mr. Zarrouk's equivalent in Asia might be, although he does remember a colleague being told in the early 2000s that they had to fly to Taiwan to hand-deliver an envelope to someone there. The colleague described the recipient as someone who was "extremely wealthy, and obviously moved in influential circles." Shortly after that trip, Bombardier landed both the EverLine deal in South Korea and a 2006 deal to deliver new rail cars for the Kelana Jaya light-rail line in Malaysia's bustling capital, Kuala Lumpur. The whistle-blower said he worked on the Kelana Jaya bid and knows firsthand that a "success fee" was paid on that contract, too. The Bombardier logo is almost everywhere you look in Malaysia's transportation sector. 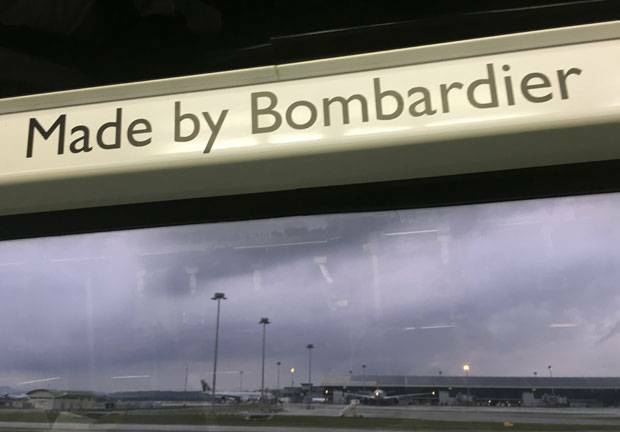 The train connecting the main terminals of Kuala Lumpur International Airport is branded "Made by Bombardier" in large black letters. 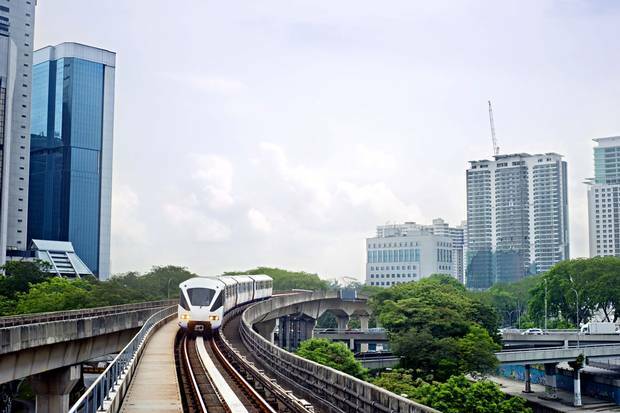 The driverless light-rail cars that run along the capital city's Kelana Jaya line are produced by Bombardier and its local partner, a company called Hartasuma. Kuala Lumpur's second airport, SkyPark Subang, is the regional hub for the Switzerland-based VistaJet and its fleet of Bombardier-made private jets. Bombardier's long track record of winning deals in Malaysia dates back to when the company won the bidding to build a light-rail line in Kuala Lumpur ahead of the 1998 Commonwealth Games. The relationship continued through March of this year, when the company won a contract to deliver 27 new rail cars to the same LRT system. The winning streak included the 2006 deal that saw Bombardier, in consortium with Hartasuma, awarded a $320-million deal to deliver another 140 rail cars for the Kelana Jaya line. In contrast with South Africa and South Korea, there has been no local investigation into how Bombardier won its contracts in Malaysia, although there was a brief public uproar around a 2011 contract that the government reportedly considered awarding to Bombardier over the advice of its own experts. The key to Bombardier's success in Malaysia, local analysts say, is its partnership with Hartasuma and the company's politically connected executive director, Tan Sri Datuk Ravindran Menon, a leading figure in the Malaysia's ethnic Indian community. (The title "Tan Sri Datuk" is the Malaysian equivalent of a lordship or knighthood.) Mr. Menon is also the founder and executive director of the SkyPark Group, the company that manages the SkyPark Subang terminal. 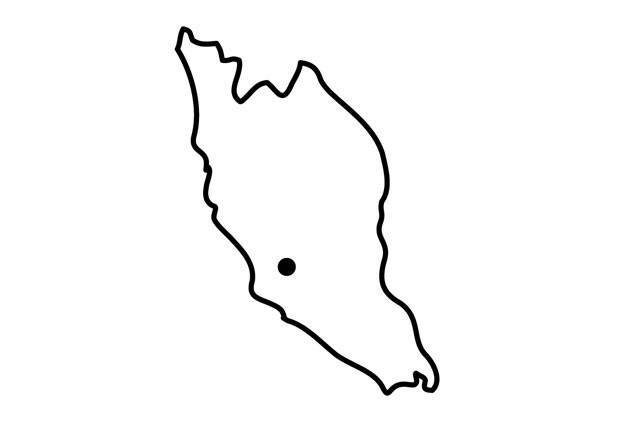 Hartasuma is itself part of a conglomerate called the ARA Group, which counts among its board members another Tan Sri Datuk, Mohamed Khatib Abdul Hamid, who earned the title as a long-time senior Malaysian diplomat and adviser to Prime Minister Najib Razak. While there was no information available on Malaysia's company register about the ownership of ARA Group, it is frequently linked to Khairy Jamaluddin, a cabinet minister who is also the son-in-law of Abdullah Badawi, Mr. Najib's predecessor as prime minister and finance minister. Mr. Marcil, the vice-president at Bombardier, said that the company partnered with Hartasuma in order to fulfill local content quotas, as required under Malaysian law. "Bombardier Transportation's bids and contracts are entered into only after a thorough and rigorous review process that includes an examination of our local partners," he said, directing all further questions to Hartasuma. "It's very clear that Ravindran Menon is not your regular Joe Businessman," said Rafizi Ramli, a prominent Opposition politician. "It's very obvious that he's connected to Abdullah Badawi's clan." Mr. Rafizi said that at the time the Kelana Jaya contract was awarded to Bombardier and Hartasuma in 2006, Mr. Khairy was the second-most powerful man in the country after his father-in-law. Mr. Rafizi said he believed it would be impossible for a foreign company to win a large infrastructure contract in Malaysia without paying into the country's system of corruption and patronage. To support his argument, he pointed to the scandal surrounding the massive 1Malaysia Development Berhad fund. According to the U.S. Department of Justice, the fund has seen hundreds of millions of dollars that were marked for development projects redirected into the personal accounts of top Malaysian government officials. The man who formally awarded the 2006 Kelana Jaya contract to Bombardier and Hartasuma was Shaipudin Shah Harun, a civil servant who headed Prasarana, the government body – under the Ministry of Finance – that manages the country's transportation assets. Mr. Shaipudin, who resigned from the job two years after the Kelana Jaya contract was awarded, told The Globe the bidding process was fair and that Bombardier and Hartasuma won the deal because "they met all the criteria." He said he didn't know of any success fee or commission payment on the deal, but added that even he wasn't privy to the entire selection process. "We tried to make it as transparent as possible," he said, when reached on his mobile phone. "But whatever goes on behind the scenes, we're not party to it and would not be aware." Mr. Shaipudin said he didn't know how Bombardier ended up in partnership with Hartasuma. "I don't think it's wise for me to comment on that." The Bombardier-Hartasuma relationship is consummated at a factory in an industrial park on Pulau Indah, a small island off of Malaysia's west coast. Near-complete Bombardier trains arrive by sea, and Hartasuma employees – the majority of whom appear to be migrant workers from Bangladesh – install plastic seats and other finishing touches before the trains are put into service. A security guard at the facility said that Mr. Menon and the other directors are rarely seen at the factory. But The Globe encountered two Hartasuma executives when a reporter visited Bombardier's local headquarters on the 25th floor of an office tower in central Kuala Lumpur. They deflected questions about how and why the Bombardier-Hartasuma consortium had been so successful in procuring infrastructure contracts. "Why in Canada would they care about how a contract is awarded in Malaysia?" said Jayasri Menon, whose LinkedIn profile identifies her as a management consultant at Hartasuma. She added that only Mr. Menon could answer The Globe's questions. Mr. Menon did not reply to e-mailed questions, however. "You are touching a very sensitive topic," Ms. Menon said. "You are touching a very sensitive line." 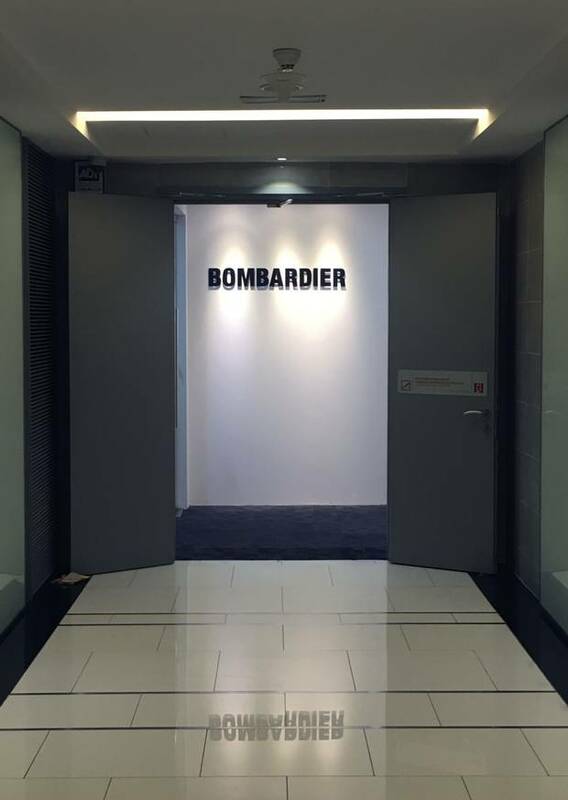 Bombardier’s office in Kuala Lumpur. One Canadian diplomat who spoke to The Globe took the devil's-advocate position that, if Bombardier were to stop making "success-fee" payments, it would only further open the field for Chinese companies who are already ascendant in the industry and have no qualms about doing whatever it takes in the name of economic development. But even if playing that game allows Western companies to compete – and to keep jobs at home – it can have undesirable consequences in the places where they do business. In Russia, anti-corruption fighters say when foreign companies pay bribes they simultaneously pay into the patronage system that has kept President Vladimir Putin and his cronies in power for the past 17 years. Money that goes sideways within Russian Railways, rather than getting applied to the building and upkeep of the country's sprawling transport system, raises the cost not only of train travel, but of groceries and other basic necessities that are often delivered by rail in that vast country. Similar complaints are made by government opponents in Malaysia, who allege that the money that foreign companies pay into the various pockets of Mr. Najib's regime is distributed throughout the political system, buying the loyalty of ethnic Malay, Indian and Chinese community leaders. One result: little political change, in a country that has been ruled by one party for the past 60 years. In South Korea, a member of the Yongin Municipal Assembly contends that the EverLine deal has crippled the city's ability to address other issues. "The annual welfare budget went to zero. The annual education budget went to zero. And public officials ended up not getting paid," Yoo Jin-sun said in an interview. Ms. Mandonsela, South Africa's former public protector, says that corruption has a multiplying effect in her country, too. "Our biggest worry was the financial overruns. Think about it … If over 40 government departments [involved in or affected by the Gautrain project] are going to have unpredictable financial overruns, it's going to be difficult to plan for the future." One point on which she and Mr. Zarrouk agree: Foreign companies – in their desire to beat their competitors to contracts and to the jobs and growth that follow – have played an important role in corrupting the often-weak governments of the developing world. "What saddens me is that, when you go to global conferences, they talk to you about 'African corruption,' " Ms. Madonsela said. "But in all of these cases, there is usually a big foreign company – so how can you talk about African corruption when the corruptor is foreign?" Mr. Zarrouk has a pithier take: "There are no corrupt people until someone with money tries to corrupt them." After his interview with The Globe ended, Mr. Zarrouk joked about the similarities in his dealings with Bombardier and SNC-Lavalin. "If you leave here without asking me for something," he said, laughing, "you will be the first Canadian to do so." Bombardier employee Evgeny Pavlov arrives at court in Stockholm. The Russian was acquitted of bribery charges this past September. The whistle-blower who approached The Globe said that he decided to speak out after reading about the bribery trial of a Bombardier employee in Sweden. In that case, the prosecution alleged that a mysterious shell company called Multiserv Overseas Ltd. made an $84-million profit on a contract in Azerbaijan, despite making no apparent contribution to the project. In the whistle-blower's eyes, the overpayment to Multiserv Overseas looked to be another success fee, indicating that Bombardier's practices hadn't changed in the years since he quit. Bombardier's relationship with Multiserv Overseas was the focus of a major Globe report last year that found that the company had a shifting ownership structure ultimately controlled by cronies of Russian Railways boss Vladimir Yakunin, himself a long-time confidant of Mr. Putin. "We believe that the court's first-instance decision in Mr. Pavlov's case speaks for itself," Mr. Marcil said. But Mr. Pavlov's acquittal was far from a complete exoneration of Bombardier's behaviour. In their decision, the judges ruled only that Sweden's National Anti-Corruption Unit had not proved that Mr. Pavlov – a relatively low-ranking figure, who was charged early because of concerns he might flee the country – was personally involved in paying or benefiting from the alleged bribery scheme in Azerbaijan. The verdict was undoubtedly a relief for Bombardier, nonetheless. Swedish prosecutors say that a guilty ruling could have triggered a clause in Swedish law forcing the company to forfeit its profit on the $340-million Azerbaijan deal as the proceeds of crime. Sweden's National Anti-Corruption Unit is appealing the verdict in Mr. Pavlov's case and has named five other senior executives at Bombardier Transportation Sweden as suspects in the wider investigation into how Bombardier won contracts not just in Azerbaijan, but also Russia, Mongolia, Kazakhstan and Turkmenistan. Key to that investigation is the role of Multiserv Overseas, which The Globe found was involved in more than 133 Bombardier transactions between March, 2011, and June, 2017. Internal Bombardier documents made public during Mr. Pavlov's trial included charts showing how a network of similar companies controlled by allies of Mr. Yakunin, the Russian Railways boss, were partners on Bombardier projects in the countries on which Swedish authorities have trained their search lights: Russia, Mongolia, Kazakhstan and Turkmenistan – all places where Mr. Yakunin and his inner circle wielded wide influence over the awarding of infrastructure contracts. Bombardier announced in June that it was suspending its business relationship with Multiserv Overseas pending the outcome of an internal investigation. However, documents presented as evidence at Mr. Pavlov's trial suggest that it will be difficult for the company to disentangle itself completely from its controversial Russian partners. An internal company report prepared in March of this year lays out the scope of the relationship. Entities identified as "Partner Companies" – indicating they were controlled by Mr. Yakunin's associates, Alexey Krapivin and Yuriy Obodovskiy – were involved, as of that moment, in 24 continuing Bombardier projects worth almost $360-million. Nothing the company finds during its internal investigation of Multiserv Overseas should come as a shock. In his May, 2016, e-mail to his boss, Fredrik Hellander – the whistle-blower inside Bombardier Transportation Sweden – was about as explicit as he could be. "I have some serious concerns," he wrote to Thomas Bimer, the regional vice-president. "Multiserv Overseas Ltd. has no website, visiting address and no lines of communication via e-mail or phone exists. The company is controlled by an unknown third party," Mr. Hellander wrote. And yet, the Moscow-based Bombardier (Signal) Ltd. was buying Bombardier-made signalling equipment from Bombardier Transportation Sweden at what Mr. Hellander calculated to be a 677-per-cent markup on the Azerbaijan deal. Mr. Hellander, who worked for Bombardier Transportation Sweden as a commodities trader, wrote that he was contacting Mr. Bimer "hoping that the situation can be clarified urgently." 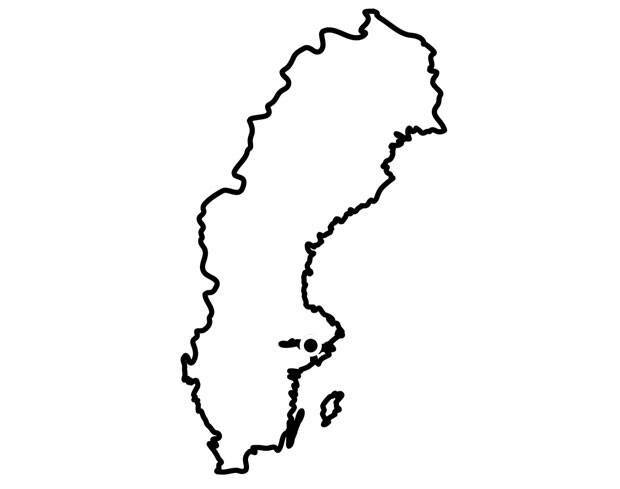 The copy of Mr. Hellander's e-mail that was among the evidence made public by the Swedish court appears to have been printed off and annotated with pen. "All bids/set-ups are reviewed by compliance functions in Group," an unknown party scribbled on the page, an apparent reference to Bombardier Transportation headquarters in Berlin. The writer added that Multiserv Overseas was "part of 1520 group of companies." The 1520 Group of Companies is a network of businesses controlled by Mr. Krapivin and Mr. Obodovskiy, the associates of Mr. Yakunin, the Russian Railways boss. "Yuriy Obodovskiy and [a] small group of people, like Alexey Krapivin (called Partners) are beneficiaries of these group of companies," Peter Cedervall, the head of Bombardier Transportation Sweden, wrote in a separate memo prepared in 2014 for Lutz Bertling, then the Berlin-based chief of Bombardier Transportation. 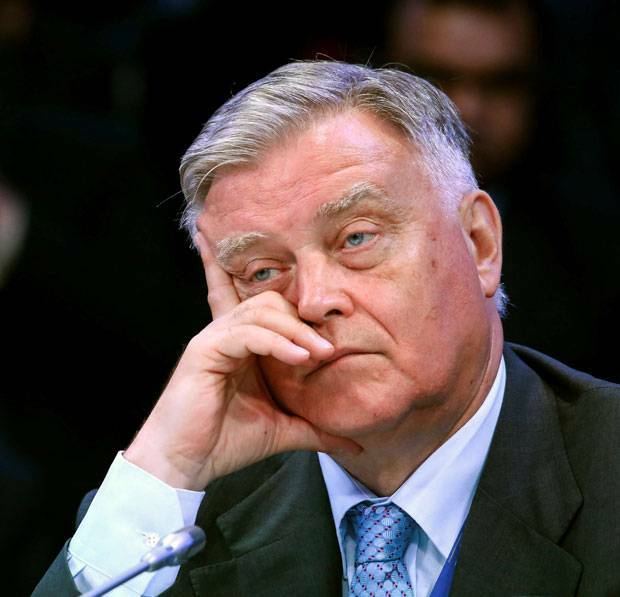 "Partners have access to Yakunin and all key members of [Russian Railways] management … Also they have access to almost all heads of Railways of former USSR companies. Having such connections they can influence decisions taken." Both Mr. Cedervall and Mr. Bimer are among those named as suspects by the National Anti-Corruption Unit. Swedish authorities have formally sought the RCMP's help with the investigation, using a process known as Mutual Legal Assistance Request to ask Canadian police to seize documents and electronic equipment – and potentially to conduct interviews – in connection with the case. Speaking outside Stockholm's main courthouse this summer during Mr. Pavlov's trial, prosecutor Thomas Forsberg said that the case was about a corporate culture, rather than the behaviour of one individual. "It's Bombardier's money [Mr. Pavlov] is dealing with, not his own. It's not from his own pocket, so to say. He's definitely the main person on this contract. … [But] the bribes are paid from Bombardier." 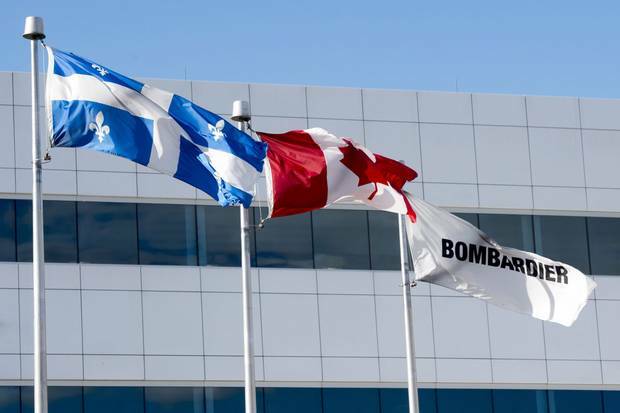 Flags fly outside a Bombardier plant in Mirabel, Que. mong the questions that hung unanswered over the trial in Sweden was this one: What did Bombardier corporate headquarters in Montreal know regarding how its rail unit went about securing contracts? As part of their defence, Mr. Pavlov's lawyers said their client had "no influence" over questions such as those involving which local entities Bombardier should partner with. Those issues, the defence team said, were decided over Mr. Pavlov's head, at the "group level" – implying Bombardier Transportation headquarters in Berlin. Corporate headquarters in Montreal went almost unmentioned during the public parts of the month-long trial. Shortly after The Globe published its exposé of Bombardier's relationship with Multiserv Overseas last December, a conference call was organized between Bombardier executives in Stockholm, Berlin and Montreal. Unbeknownst to the participants, the call was recorded by Swedish police. In a transcript of the conversation, Sylvie Bourdon, a Montreal-based vice-president of group governance and general counsel, appears to accuse Mr. Cedervall, the head of Bombardier Transportation Sweden, of having previously deceived her about the nature of Multiserv Overseas. "We've had several discussions with your team … and they've all confirmed at that time that, you know, 'Yes, Multiserv was doing some scope,' " she says, using corporate lingo for business activity. "But … you know what, I think now maybe somebody lied to us." In subsequent e-mails and phone conversations, Mr. Cedervall appears to try to remind Laurent Troger, his boss in Berlin, that someone higher up had approved the company's entanglements in Russia. "We know, we know who has been involved. We know which mail. We know who had said yes," Mr. Cedervall tells Mr. Troger in a March 11 phone call, immediately after Mr. Cedervall had spent a night in prison while Swedish police searched his home and office. Other Bombardier documents and e-mails made public by Sweden's National Anti-Corruption Unit also suggest that some people in Montreal knew more than Ms. Bourdon about what was going on. A March, 2013, e-mail sent to Mr. Pavlov by legal adviser Mattias Westerlund asks for details about a previously unknown local company that Bombardier had chosen as its local partner on the Azerbaijan bid. Mr. Westerlund wanted to "submit [the information] to Montreal." 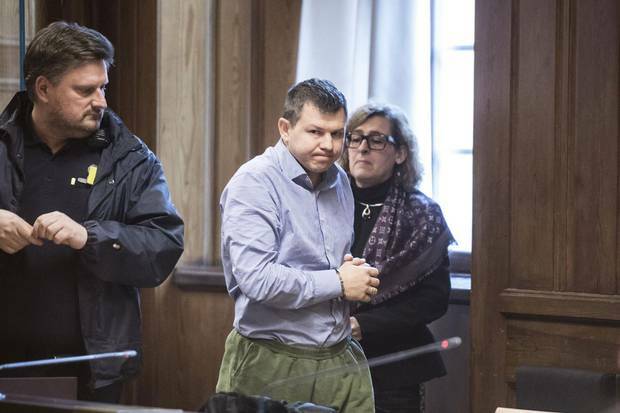 In testimony given to Swedish police in January, Stefan Andersson Berglund, an accountant for Bombardier Transportation Sweden, said that he was "convinced" that the Azerbaijan project had been approved in Montreal. "All the way up to Montreal, before you even hand in a tender, a number of people of various levels within the company have to review it. No single person can start a project if it's not approved all the way up to Montreal," Mr. Berglund said. That squares with the whistle-blower's account of the deals he was involved in while he worked for Bombardier in the early 2000s. He estimated that at least 40 people within Bombardier saw the final version of a foreign-bid proposal before it got approved. And how far up did responsibility go? The whistle-blower says that projects worth hundreds of millions of dollars – such as the South African, South Korean and Malaysian bids in which he was personally involved – were approved at the very top of the corporate structure. "Anybody who worked in finance, accounting or sales – or any of the top executives – they all know."